More 5,000 people die on the job every year. That’s truly a shocking number. What’s more disturbing is the fact that nearly 60,000 more die from workplace-related diseases. If you’ve recently lost a loved one due to a workplace accident, timely information about legal rights and protections are key. Personal affairs should be handled in an appropriate, timely manner. The North Carolina Workers’ Compensation Act provides certain protections, and benefits, in the event of a workplace death. Accidents at work can happen through negligence, inaccurate information, or through Acts of God. Regardless of what causes the accident, many employees (and potentially their legal beneficiaries in an untimely death) are entitled to reasonable money damages for lost wages, reimbursement of medical bills and the costs of surgical intervention, treatment, transport to the ER Emergency Room, (ambulance / Life Flight), etc. Unfortunately for grieving family members, there are some necessary “first steps” to preserve your legal claims. 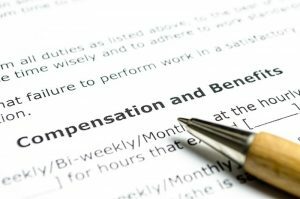 That may include providing clear legal notice of the loss, making a formal claim for death benefits, and otherwise preserving legal claims under the NC workers compensation laws. It is also extremely important to begin gathering evidence of the accident, including records of the injury, witness statements, and other documentation that might be used in a hearing on the claim. There are some standard rules for dependency, like having children under 18 or children who have a disability that inhibits their ability to earn income. If children are attending college or a trade school, they might also be eligible for benefits since they may have relied on income or tuition money. Spouses are usually considered dependents regardless of how much they earn. Sometimes there is a cap if the living spouse is a higher earner than the deceased spouse. Financial dependence, in this case, will need to be proven. To receive death benefits from NC workers comp, the death must be linked to an injury or illness that is work-related. The death doesn’t have to occur on the job. If an injury on the job causes months of hospitalization that leads to death, it may be an eligible case. There may be statutes of limitations that apply. Benefits linked to work-related poisoning or illness that happens over a longer period, are more complicated. If an employee worked with dangerous chemicals or materials, passing away from a slow poisoning. Pre-existing conditions do not necessarily disqualify death benefits. 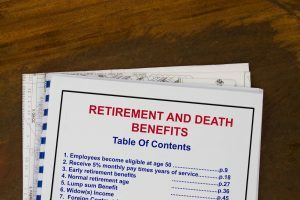 Death benefits are normally paid on a percentage of what the employee earned on the job where injured or killed. Every state requires workers comp to pay some portion of the funeral expense of employees who’ve died because of work-related injuries. There could be a maximum amount, but the funds should greatly ease the costs that families face. Death benefits will also cover the medical treatment that your lost family member received. The insurance company may review the bills and scrutinize them. If this is the case, it’s time to seek the help of a qualified lawyer. Insurance companies may claim that certain treatments weren’t necessary or expenses aren’t covered. The last thing you should do is haggle on the phone with an insensitive and disrespectful insurance company. Let your attorney handle that. Everyone has a complicated family, unique issues, and conditions that make their case special. When combined with the strict rules of the law surrounding workers comp death benefits, you could fall through the cracks. If this is the case, it’s time to call a lawyer. They know the laws and what kinds of evidence you’ll need to prove your relationship with the deceased. They’ll also know what kinds of paperwork you’ll need from the hospital, from the employer, and from the insurance company. The number one reason people hesitate to hire a lawyer is that they don’t know if they can afford one. Many lawyers will charge a contingency fee so that they only get paid when you get paid. If you’re dealing with the kinds of family and social changes that a death can bring, the last thing that you need is to worry about money. The emotional pain, the transitions, and the responsibilities you’ve inherited are more than enough to deal with. Hire a lawyer if things get too messy trying to get death benefits. If you’re in a battle with the employer about blame for an accident, check out our guide to understand who should be held responsible.